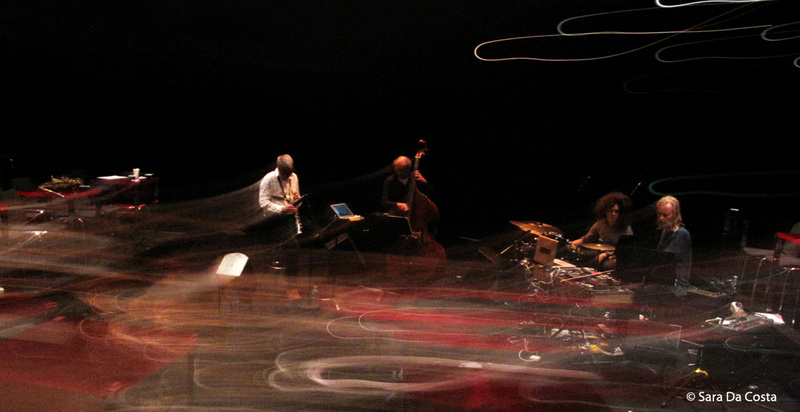 Surrounded by Sea was recorded in August and September 2014 in the responsive natural acoustics of Lugano’s Auditorio Stelio Molo RSI. 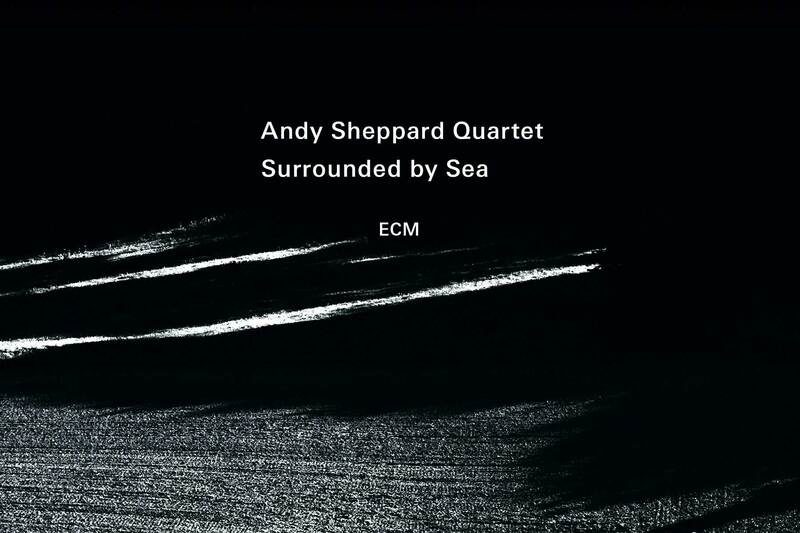 Surrounded by Sea, Andy Sheppard’s third ECM album, is a strongly atmospheric recording, and one whose associative title seems especially apt. 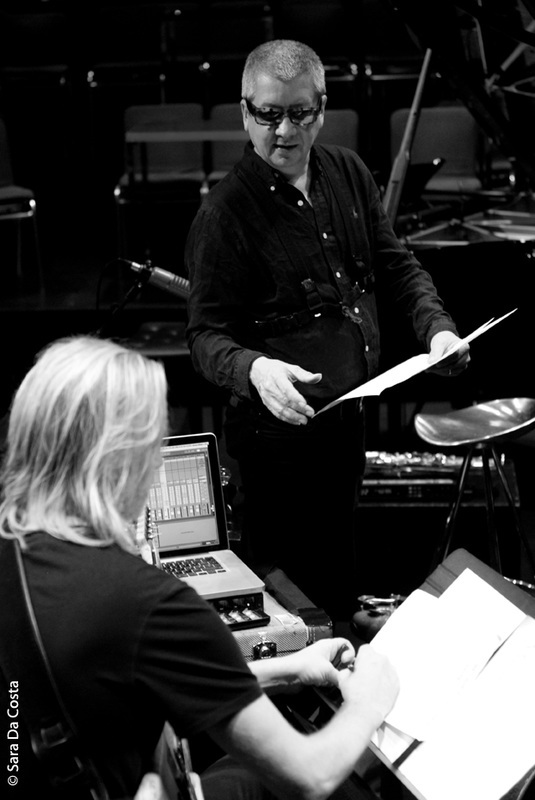 The album adds Norwegian guitarist Eivind Aarset to the line-up of Sheppard’s widely acclaimed Trio Libero with Michel Benita (bass) and Sebastian Rochford (Drums). 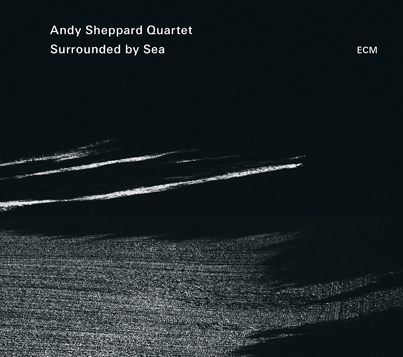 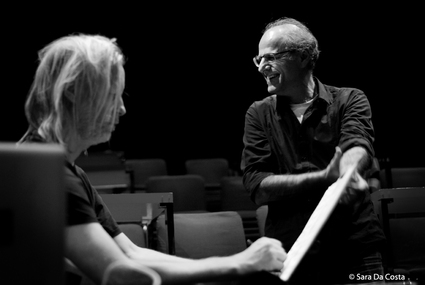 The elegantly poised textures of Andy Sheppard’s new quartet – given a haunting, other-worldly presence by the electronic soundscapes of guitarist Eivind Aarset – mark a striking new direction for this most lyrically gifted of improvisers. 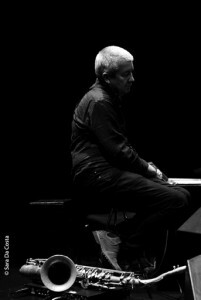 Andy Sheppard’s first leader date for ECM was the 2008 recording Movements In Colour (where Eivind Aarset was one of the featured guitarists). In addition to the aforementioned Trio Libero album Sheppard can also be heard with Carla Bley and Steve Swallow on Trios (ECM 2287, recorded 2012), and on ten of Carla Bley’s albums on the ECM distributed WATT label, beginning with Fleur Carnivore in 1988. Sheppard has previously recorded as a leader for Island/Antilles, Blue Note, Verve, Label Bleu and Provocateur, written music for ensembles of every size including his Saxophone Massive project with up to 200 players, and been featured as soloist with great jazz composers and arrangers including George Russell and Gil Evans.